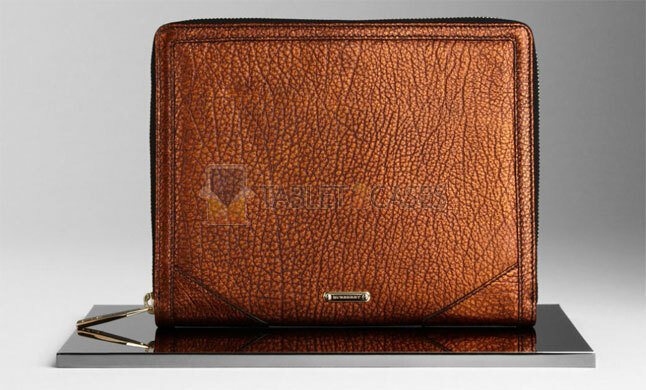 Metallic Leather iPad Case from Burberry is a tablet designer case handmade in Italy from 100% genuine leather. The new portfolio tablet case is a perfect combination of luxury and style. The top-quality leather will keep damaging elements away from the pad, however it’s better not to go dancing in the rain with it. The zippered closure guarantees the Apple iPad will stay inside this tablet case for women at all times. A light padding layer will even protect the device from minor impacts and shocks. The new case features several open pockets on the inside and a tab-button pocket for important documents. 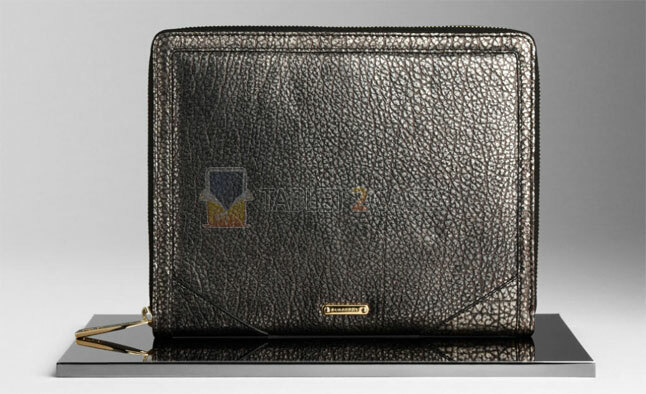 The latest luxury tablet case is similar to other small leather goods in the designer’s collection for women and features a polished gold-colored metal plaque with the Burberry logo engraved onto it. The new case features simple, yet classy design and will certainly appeal to stylish businesswomen. The case comes in silver, metallic blackberry and metallic tangerine colors. The price for this item is £295.